eponym is a New York City-based company that empowers brands like Steven Alan, Alice + Olivia, Jason Wu, and Billy Reid to create, design, and distribute eyewear directly to consumers under their own label. Glossy, Digiday’s new site covering the fashion industry, published a terrific story today on eponym tied to the launch of the new eyewear collection it created for Alice + Olivia. 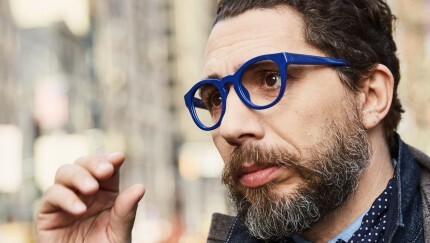 The headline says it all: How Eponym is carving out a niche in the luxury eyewear market. The search for elegant, functional reading glasses is over thanks to the debut today of Ottavo, a new eyewear brand from Eponym specializing in high-quality, handcrafted reading glasses that offer the timeless and effortless chic of Italian design at an accessible price. 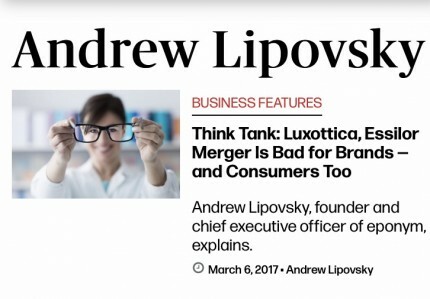 eponym founder Andrew Lipovsky has been sharing his insight on the fashion industry in a series of op-eds for WWD’s Think Tank section. Topics have included why fashion brands must “diversify or die” and why the Luxottica and Essilor merger is bad for fashion brands and even worse for consumers.